How do you usually brew? 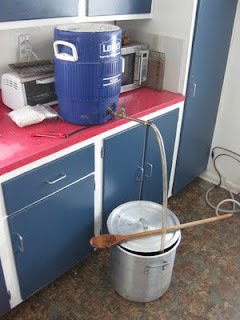 I'm always amazed by the huge variety of ways in which homebrewers accomplish the same basic tasks. One of my favorite things about brewing at a friend's house is seeing what techniques/equipment they use (I've picked up a lot of things that have made my brewing easier and beers better). 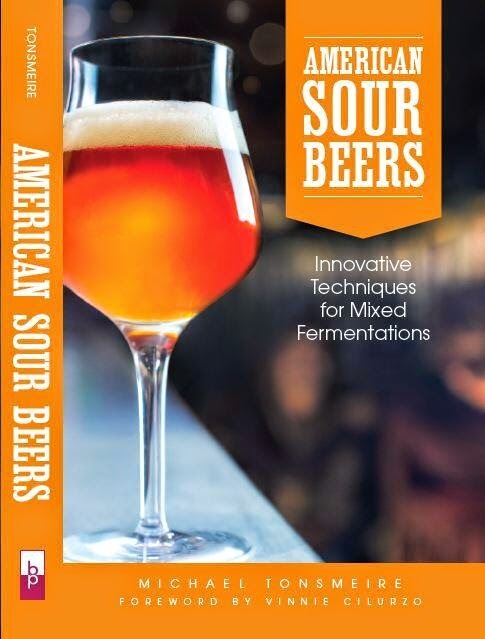 It is interesting to see the high number of readers who primarily brew all-grain, and the decent percentage of those who perform multi-step mashes. I would like to know how these results compare to these percentages among all homebrewers (I tend to think this blog attracts a more advanced subset of brewers). I mostly do single infusion mashes although I certainly take the extra time to do multi-step infusion/decoction mashes when the malt needs it, but these days you really have to go out of your way to get malt that won't work well with a single infusion. It would be interesting to brew the same recipe only switching the mash regime to really find out for myself how much of an impact it really makes. I'm also surprised at how many people batch sparge, I had assumed it would be closer to even with fly sparging. I tend to batch sparge because it is a bit quicker and lets me avoid worrying about the pH and gravity of the runnings. BYO and BBR did one of their collaborative experiments on sparging a few months ago, you can also listen to the full analysis of the results (overall there was a lot of consistency between the different methods). One of the great things about this hobby is that there is so much flexibility to create a process that works for you. Part of the motivation behind this poll (besides curiosity) was that I've been considering posting extract equivalents for some recipes. However, most of my recipes include specialty grains that should be mashed due to the amount of starch they contain (and I figure most partial-mash brewers know how to swap out some of the base malt for extract). If you'd like me to post extract versions of my recipes when possible, please let me know. I would absolutely love extract and partial mash instructions! I'm new to homebrewing (have done 5 extract batches) and I'd love to try more advanced stuff, but space and money constraints make all-grain a bit prohibitive. At a recent North Texas Homebrewers Association brewday, there was a tasting of two kegs of Boh Pils. They had been brewed by the same brewer and were the same recipe. One used a single infusion mash and the other a more traditional decoction mash. The tasting was blind and a significant majority of us preferred the single infusion beer. It had a rounder and fuller flavor than the decoction beer. I can get more info on the process if you're interested. Very interesting. For a side-by-side like that it seems like the type of malt used and what rests were employed would be the big factor. Certainly agree that doing a decoction isn’t going to make every recipe better. I think the prevalence of batch sparging makes sense. With homebrew-level equipment, it is the much more accessible sparge option and has the added benefit of being much quicker. Or, at least, it lets you attend to other duties while the batch sparge water is soaking. Thanks for posting the results of this poll. Interesting stuff. I personally single infusion mash and fly sparge and find that it does a pretty good job overall. I've never done a really high gravity beer though like a Russian Imperial Stout or high gravity barleywine. I want to though, I just dont feel like I have the equipment to mash a large amount of grain. The most grain I can do is 11 pounds with 4 gallons of water. Would batch sparging in a larger cooler, like a 10 gallon (I have a 5), be better than what I'm doing? I use a 5 gallon cooler for most of my beers (although I also have a ~18 gallon one for really big beers). You could use a thicker mash if you wanted to get more grain into your current mash tun. You can get by with as little as 1 quart of water per pound of grain. You could always supplement your mash with some pale malt extract to get the gravity up. A bigger mash tun certainly makes some things easier, but it will also loose more heat on beers with less grain. That's why I was thinking about keeping the 5 gallon and just converting a 10 gallon so that I had the larger volume for bigger beers. I have a false bottom on the 5 obviously, so I wont need the bottom part, all I'll need are the fittings for the 10. Not too expensive, maybe 20-30 bucks if I look in the right places. A friend who is a great lager brewer brews a very nice Bo Pils. He has done both single infusion and single decoction mashes with the same recipe. Most people I know preferred (and were able to pick out) the decocted version when trying them blind, side-by-side. How can you guys comment on a post from the future?! It's mind boggling! Am I missing something, post from the future?